They say that necessity is the mother of invention and well, I take this statement to heart. Since I freelance doing recipe development and food photography, I have to cook lots of dishes with lots of ingredients. To put it in perspective, it's kind of like making Thanksgiving dinner every time I have a shoot or project - lots of food, lots and lots of dishes (WHY?! ), and lots of leftovers. I usually keep a few leftovers for us and give the rest to family and friends however, I'm always puzzled about what do with leftover ingredients. This week, I had leftover tomatoes from a shoot and I couldn't bear the thought of them going to waste. Even though there were storebought tomatoes, a wasted tomato is a sad thing. I figure I would make some sort of chunky spread or dip with them and got to it. 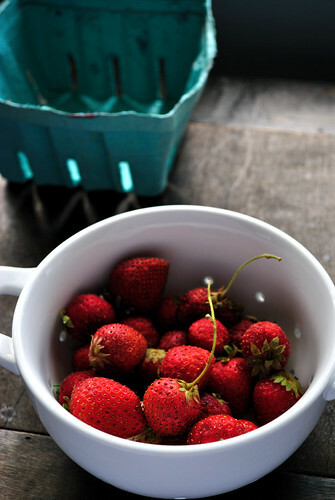 While I was doing that, I noticed that I had some farmer's market strawberries that were past their prime and decided to roast them since roasted strawberries are a bit like heaven. Somehow, my strawberries found their way into my tomato dish and the rest is history. Really delicious and refreshing history. 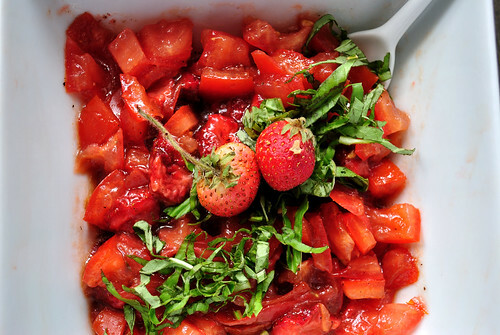 This dish just screams summer - you've got strawberries, tomatoes, and fresh herbs all in one dangerously delicious spread. I recommend putting it on some toast with goat cheese or just eating it by the spoonful. You can guess which one I did. (both, obviously). 1. Preheat oven to 350F. 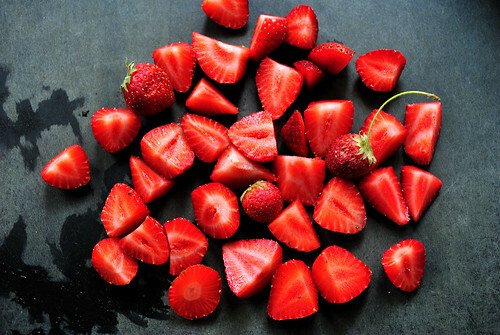 Hull and quarter strawberries, drizzle with olive oil, and dust with a pinch of salt and roast for 15-20 minutes until they are juicy and a deep, dark red. Let cool and set aside. 2. 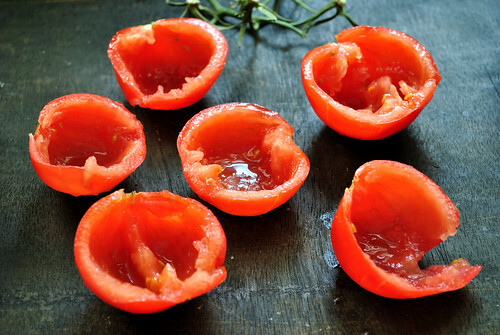 Remove inner core of tomatoes by cutting in half and gently pushing out seeds and core with your fingers. Dice and place in a large bowl. Sprinkle with salt. 3. 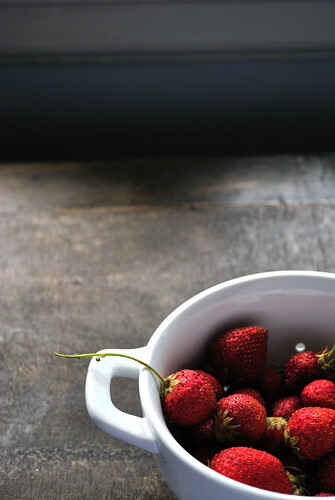 Combine remaining ingredients, including strawberries, in bowl with tomatoes and gently toss to combine. Drizzle with honey if you'd like a sweeter spread. 4. Refrigerate for at least 2 hours before serving.